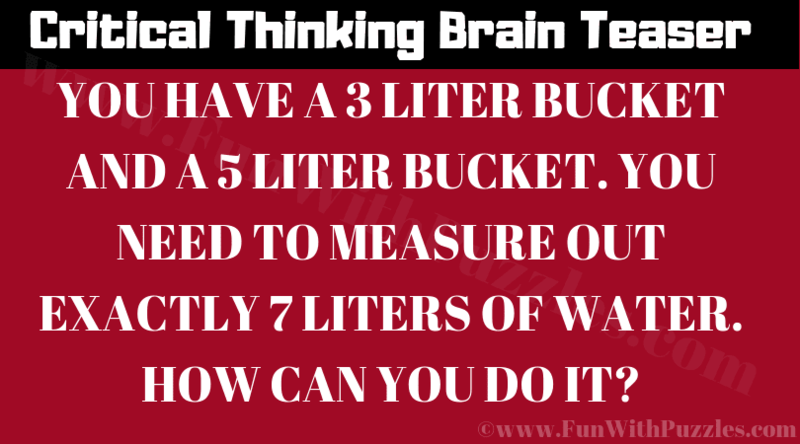 It critical thinking brain teaser is for school going students. It will test your mathematical skills and outside the box thinking ability. If you are chess maniac and love to play the game of chess then you will love solving this lateral thinking brain teaser. Try to solve this critical thinking brain teaser in minimum iterations as possible. Post your answer to this critical thinking brain teaser in comments. Can you solve this Critical Thinking Brain Teaser?